What I Blog About When I Blog About Books: OPI "Pros and Bronze"
Today's nail of the day is one of my favorite polishes from 2011, OPI's "Pros and Bronze" from the Serena Williams Glam Slam collection. "Pros and Bronze," unlike it's name, is not bronze relative to other polishes such as OPI's "Brisbane Bronze" or China Glaze's "Harvest Moon." 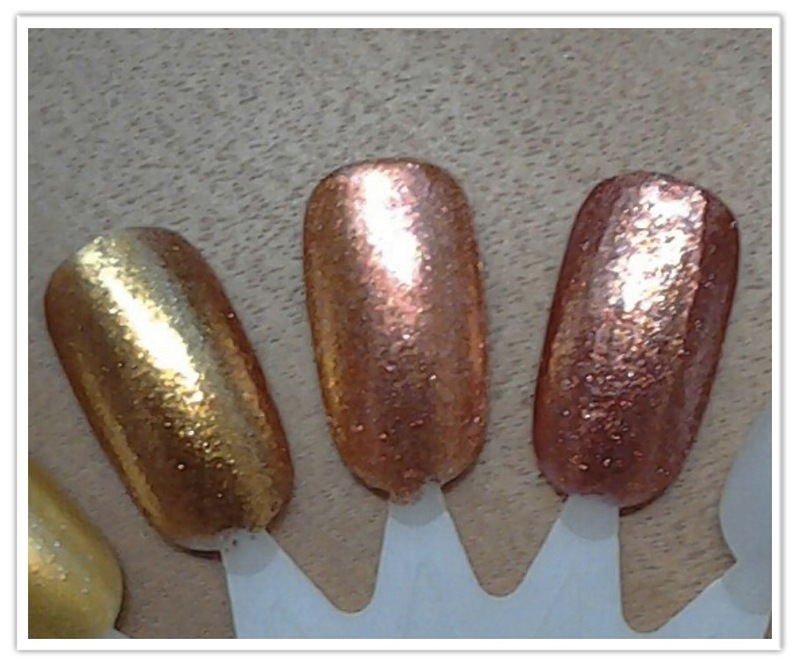 It is a golden-orange foil with some multicolored glitter in it. It is a very unique color and I love it. When I saw OPI's "Goldeneye" from the new Skyfall Collection, as well as Zoya's "Tiffany," I thought they somewhat resembled "Pros and Bronze." However, from the swatches below, you can tell that they look nothing alike! Though I realize this is silly I always pick a special polish to wear for special holidays. Last year, I deliberated between this polish and OPI's "Warm and Fozzie" to wear for Thanksgiving Day. "Pros and Bronze" ended up winning for Thanksgiving Day 2011. The formula on this polish, though rather water-y, still applies very smoothly. I needed 3 coats so there was no visible nail line. As you can see, I went a little photo-crazy with this one. Just had to make sure I could capture it properly for the unique polish it is. Even my sister, who primarily sports nudes and/or natural nails, loves this polish and has stolen it from me on various accounts. Though I already wore this polish for Thanksgiving Day 2011 I am tempted to wear it again for Thanksgiving Day 2012 as well. this color is very pretty! maybe my orange-hesitant self will consider this in the future. look at me growing my temptations list..